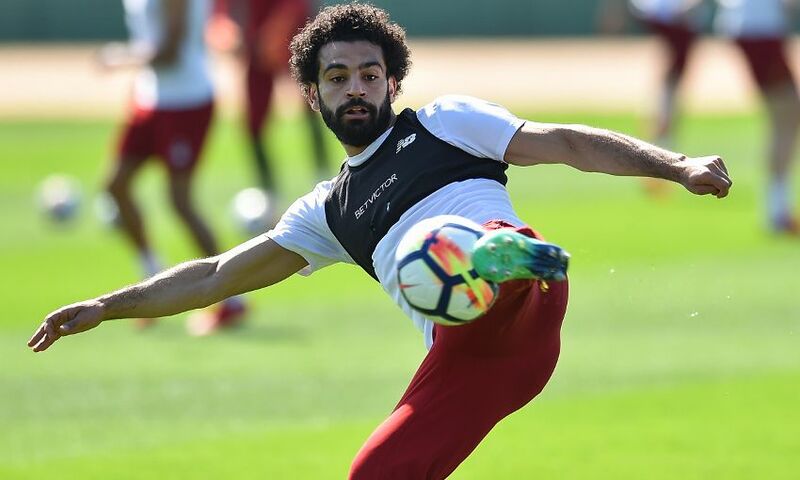 Mohamed Salah is focused on trying to help Liverpool enjoy a successful conclusion to 2017-18, rather than chasing the Golden Boot, according to Jürgen Klopp. With 30 strikes, the Egyptian forward is currently four goals in front of Tottenham Hotspur’s Harry Kane in the race to be crowned as the Premier League’s leading marksman for the campaign. However, with the Reds on course to sew up a top-four finish in the division, and a Champions League semi-final with AS Roma to look forward to, Klopp insists Salah is only concerned about contributing to a fruitful conclusion to the season for the team. The manager told his pre-West Bromwich Albion press conference: “There are always personal targets, but the main target for Mo is to finish in the Champions League spots and, in an ideal world, to go to the final – and if you are then there, to win the final. “We don’t have to think too much about that; it’s not that we start now bringing him into situations where he can score. We have to play normal football and in the end, if Mo is at his best, he will be a goal threat at least. If he is in the right positions, he will score or not. That’s how it always was. “Because of the question, you see it has changed already, from outside the view is it is decisive for this or that, but in the end we came here in the position [we are in] because of the football we played, [just] as Mo came here because of the football he played. Liverpool travel to the Hawthorns on Saturday to take on the Baggies before their attention will turn to the first-leg of the last-four tie with Roma at Anfield on Tuesday evening. However, Klopp’s decision on whether to select Salah at the Hawthorns doesn’t hinge on the clash with the Italian side as he prepares the Reds to tackle a West Brom team who prevailed 1-0 against Manchester United at Old Trafford last weekend. “[Mo has] no physical problems in the moment and hopefully it stays like this, that’s what we need,” the boss continued. “We need the boys for all the games. I know that the next question will be around line-up and selection for West Brom because Roma is coming afterwards, but we never did it like that. “We have to line-up with a really, really strong line-up. We respect always the intensity of the season so far and all that stuff, but in the end we respect West Brom, we respect the competition of the Premier League, we know that we need points to be in the top four. “It will be difficult enough because everybody saw West Brom got four points since they changed the manager. I know a lot of people are like, ‘oh, United lost against West Brom’ and, yes, maybe West Brom were lucky in one or two situations, but they deserved it. Not only because Man United were not at their best, no it was because West Brom did really well. “Now they have a home game and they want to show they believe in their little last chance [of survival]. We are the first opponent in that new situation, so we need to be at our best in that game. It will be difficult and we lost to them in the FA Cup, I don’t have to remind anybody on that. “That’s what we respect first and then after the game, we think about Roma, because there is no other way for us. We don’t have 25 players in the moment and can line-up two different sides and stuff like that for one competition and the other competition.